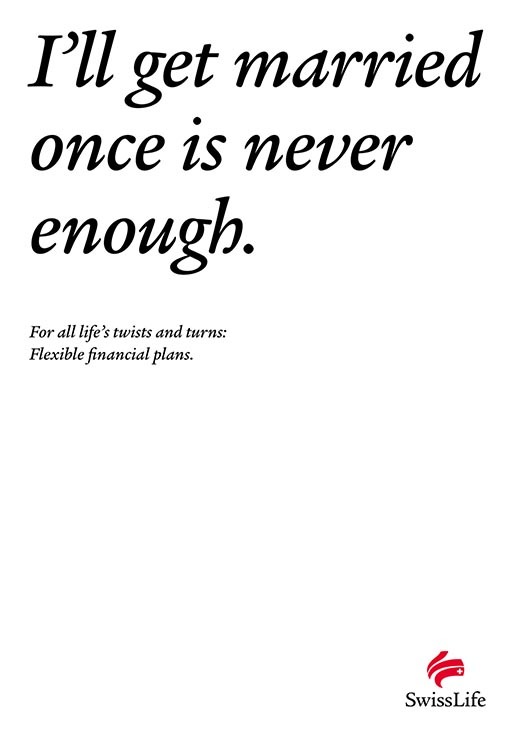 Swiss Life, the insurance company, produced a new series of word mashups in a print and poster advertising campaign featuring the tag line, “For all life’s twists and turns: Flexible financial plans”. 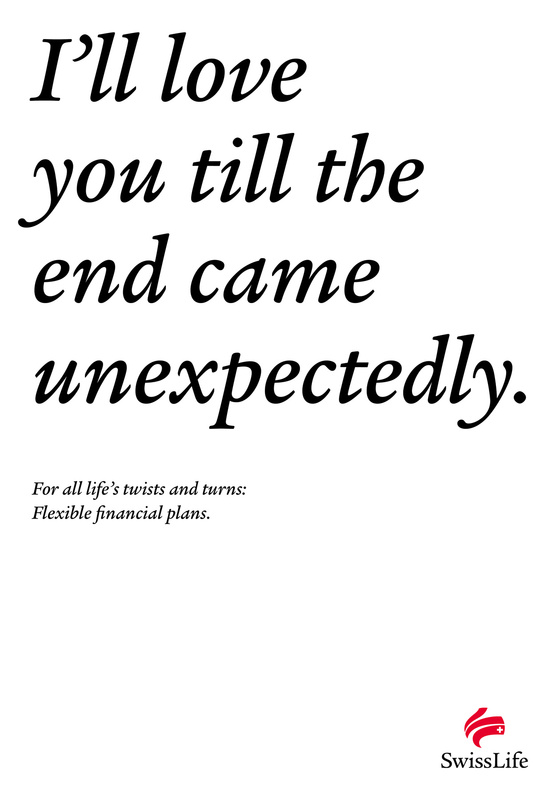 The campaign follows on from the success of the earlier “Life Turns” campaign, winning Zurich advertising agency Spillmann/Felser/Leo Burnett a Gold Outdoor Lion for copywriting at Cannes International Festival of Creativity. 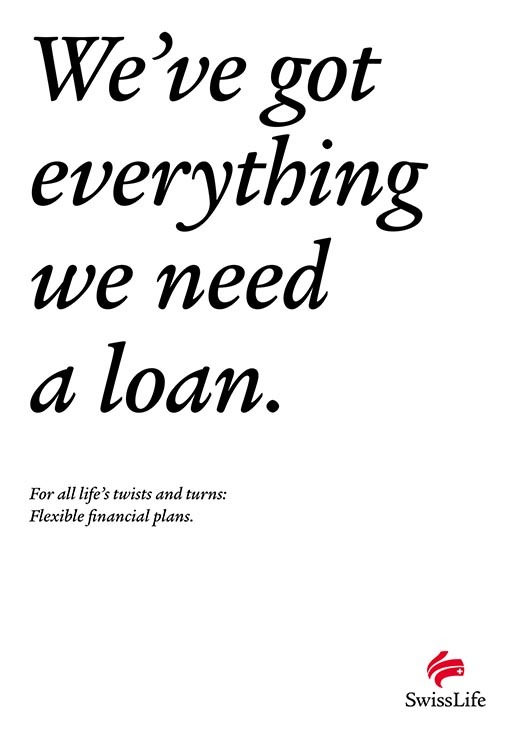 “We’ve got everything we need a loan”. “I look forward to the baby is not mine”. 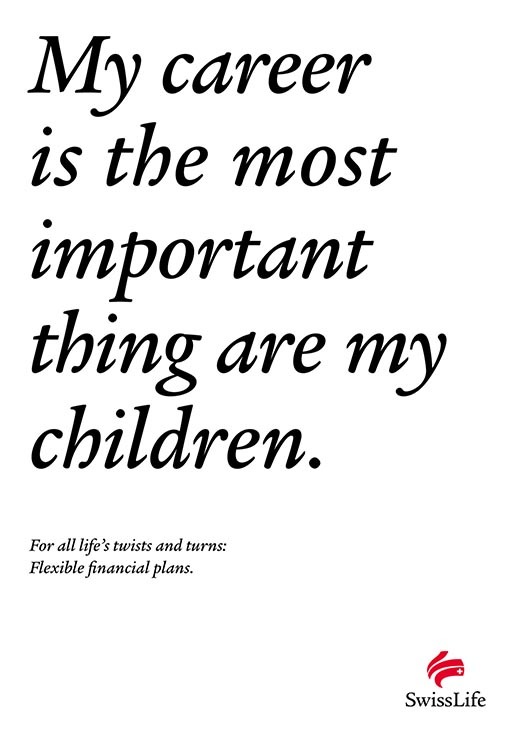 “My career is the most important is my children”. 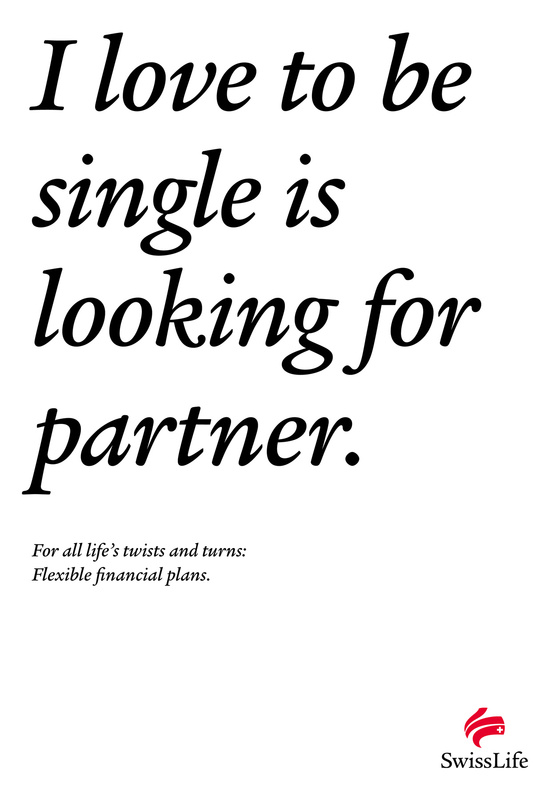 “I love to be single is looking for partner”. 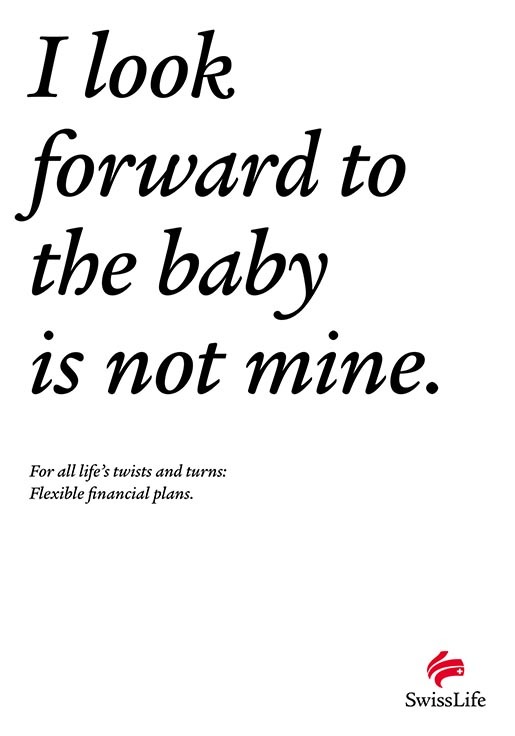 “I look forward to the baby is not mine”. “I’ll get married once is never enough”. “I’ll love you until the end came unexpectedly”. The campaign was associated with an online competition to come up with the best life turn sentences, online at wendungen.swisslife.ch. The Life Twists campaign was developed at Spillmann/Felser/Leo Burnett, Zurich, by creative director Peter Brönnimann, copywriters Thomas Schöb, Simon Smit, art directors Reto Clement, Daniele Barbiereo.